Books have been written and movies filmed, attempting to describe the impassioned grip Africa can have on the soul. From the days when hundreds of porters would carry supplies for months-on-end expeditions, to today, when the most remote places are accessible by light aircraft, there is still an adventure and romance associated with a safari in the African wilderness. For some, such as Ethan Kinsey, that adventure has become a way of life. His passion for wildness and the lands he finds so much peace from drives him to understand its intricacies. Sharing it with you helps him to understand it better, and is an important force in the conservation of what was once uninhabited wilderness. Ethan Kinsey was born and raised in a rural village close to Arusha, where he, his wife and two daughters now make their home. Being outside and immersed in nature has always been a part of his life; from catching tadpoles, birding and outdoor pursuits as a child, to learning winter sports during college vacations. For more than 10 years now, it has taken the form of sharing wildlife and wilderness experiences with guests, specialized guiding, guide-training, and personal learning ventures. Never one to turn down opportunities to be outside in the bush, even the birth of his daughters did not slow him down, and they had both been on safari within their first month. 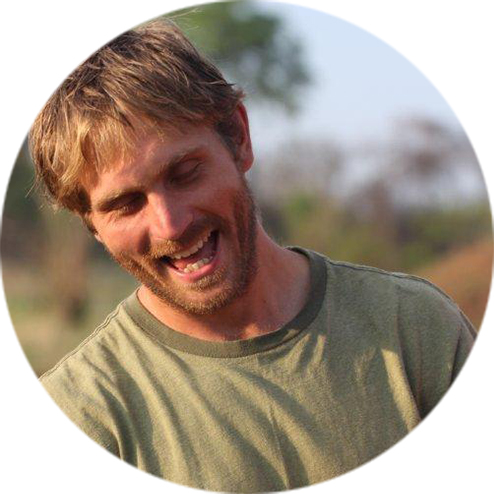 While primarily occupied with designing and guiding private safaris throughout East Africa, he is also actively leading training and development of guides and guiding standards, including some of the big name safari companies with lodges & camps as well as training National Park rangers. Ethan’s love for nature and wilderness are evident and he strongly advocates getting out of your comfort zones, getting away from people, and allowing yourself incredible experiences in nature. His comfort, whether it’s looking for scorpions in desert environments, or birding in rain forests, to sitting in the midst of a herd of wild elephants, is not only reassuring but inspiring.